For first time visitors to Xinjiang who are limited on time, this tour will give a great intro to the culture and history of Xinjiang. Our tour will start off in Urumqi, where you will get an overview of Xinjiang’s history at the museum. Then we will spend 2 days each in Turpan and Kashgar, visiting the historical and cultural sites of each area. Barter for sheep in the Livestock Market! Pick up in Urumqi in the morning from hotel or by train or plane. We will first visit the Xinjiang Provincial Museum to give you an overview of the history of Xinjiang and you can also see the famous mummies there. After lunch, we will visit the International Bazaar and then drive to Turpan for the evening (2.5 hour drive). After breakfast in your hotel, we will drive outside Turpan towards Tuyuq Valley, where most of Turpan’s historical sites are located. Along the drive, you can stop and enjoy the view of Flaming Mountain, famous for its colorful red landscape. We will then reach the Bezeklik 1000 Buddha Caves. Afterwards, continue onto Tuyuq Village, where you can enjoy a walk around the village and lunch in a local Uyghur home. In the afternoon, visit Gaochang Ancient Ruins, which was first established in the 2nd century AD as a garrison outpost. It was later made the Uyghur capital in the middle of the 8th century after the historical Uyghur empire in Mongolia collapsed and caused large groups of Uyghurs to move to Gaochang. Gaochang was a very “cosmopolitan” town as traces of Nestorian Christianity, Buddhism, Taoism and Manichaeism are all found here. 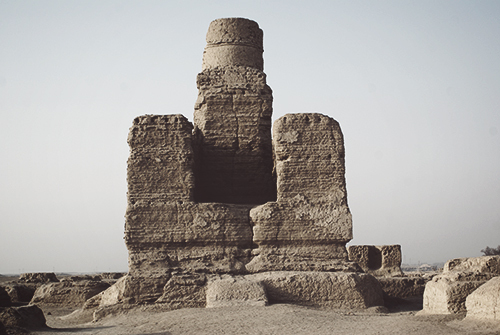 We will continue our visit of Turpan, where will explore both Turpan’s ancient Buddhist history at Jiaohe Ancient Ruins and its more recent Islamic history at the Emin Minaret. We will also visit the Karez, where you can learn how the locals have irrigated a dry climate like Turpan for hundreds of years. Then we will transfer you to the Turpan Train Station for your overnight train to Kashgar (around 17-19 hour journey). Alternatively, you can also return to Urumqi and take a flight to Kashgar. 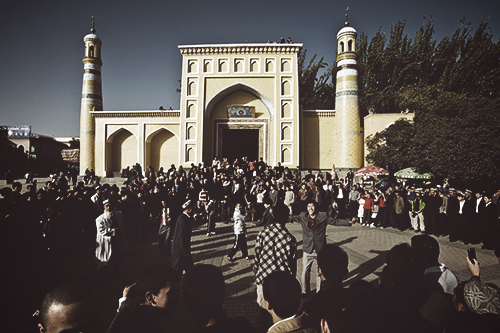 Arrive in the morning at the Kashgar Train Station, where we will be waiting for you. We will transfer you to the Sultan Hotel, where you can drop off your bags and freshen up if your room is available or request early check in. 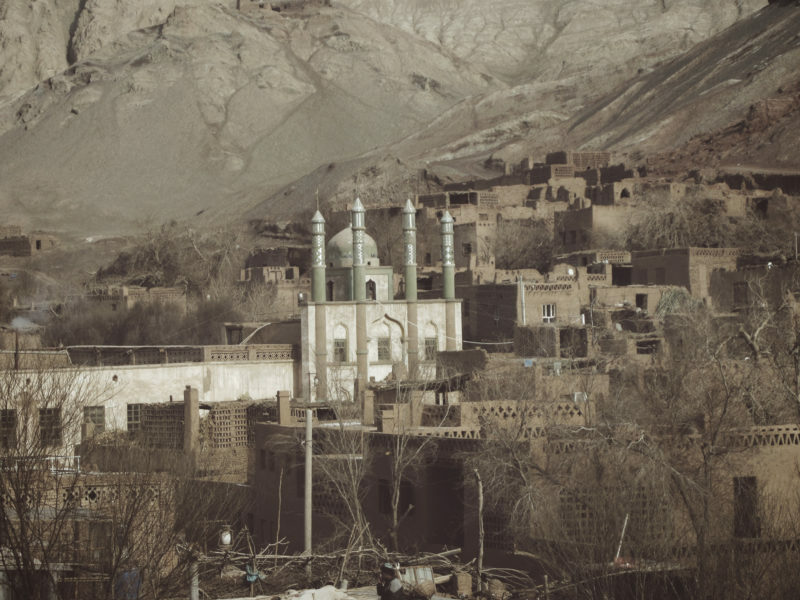 Today, we will go on a walking tour of Kashgar where we will visit the Id Kah Mosque, Old City, local craftsmen and the 100 year old Tea House. Enjoy a taste of Kashgar hospitality at a local Uyghur home where you can have lunch and learn how to make some Uyghur dishes if you’d like. 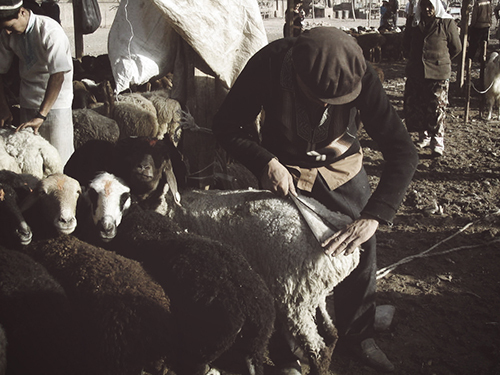 Begin your day by visiting the famous Kashgar Sunday Livestock Market (only on Sunday – but schedule can be adjusted), where traders from all over the area gather every Sunday to buy and sell. We will then visit the Sunday Bazaar, full of colorful shops selling fabrics and many other household items. Venturing just outside Kashgar, we will visit the Apak Khoja Mausoleum, home to the Apak Khoja family, who was a polarizing figure in Kashgar’s history. In the evening, we will walk through the lively Night Market, where you can enjoy trying many different local foods, before turning in for your last night in Kashgar. We will drop you off at the airport or train station the next day or you can also take a train or late flight out of Kashgar this evening. As the price of the tour can vary greatly depending on group size, hotel preference and other factors, we ask that you fill out the below tour inquiry form so we can give you an exact quote based on your request. Our itineraries, on average, start from 1,000-2,000 RMB per person per day for a couple. If you are a larger group or interested in joining other travelers, the per person cost will go down as you can share some of the transportation, guide, and other costs among the group. Our services typically include 3-4 star accommodations, private vehicles and guides, and carefully selected experiences and destinations to match your interests and time frame. Our itineraries, on average, start from 1,000-2,000 RMB per person per day for a couple. If you are a larger group or interested in joining other travelers, the per person cost will go down as you can share some of the transportation, guide, and other costs among the group. We can't guarantee that there will be other travelers whose interests and dates match up with yours but we will try! Our groups are typically very small (3-8 people) and you can also let us know how many travelers you want in your group. We love to know more about our travelers - Where are you from? Have you traveled to China or do you live in China? What have been your past travel experiences? We are also happy to customize this tour for you. The more information you can share with us, the better we can create an itinerary that will fit you!